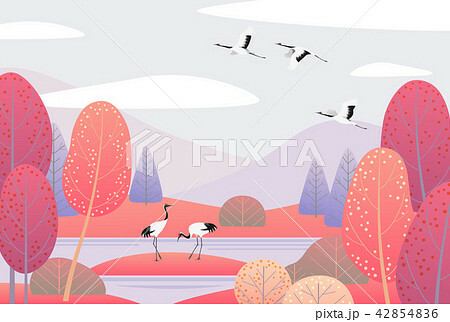 Nature background with wetland landscape and japanese cranes. Autumn scene with simple plants, trees, mountains, clouds and birds. Vector flat illustration.